Take a step back in time with Small Dinosaur Toys! This pack of plastic dinosaur toys give kids recreation of prehistoric times. 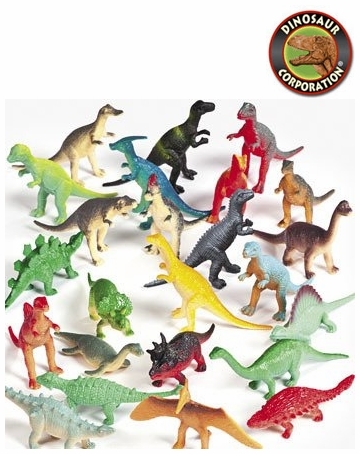 ▪ Small Dinosaur Toys Play Set, 12 pcs, 2" - 5"
Small Dinosaur Toys Play Set, 12 pcs, 2" - 5"